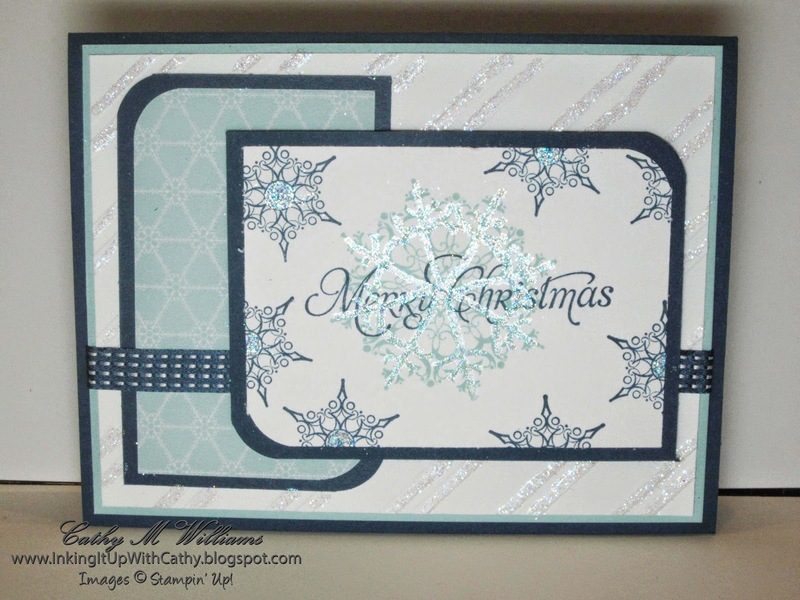 Here is the third card from our Christmas card class. Each of these cards was inspired by one that I either received as a swap card at convention or off of Splitcoaststampers. I am horrible about keeping track of where I got my inspiration but if you find that one of my cards appears to be based on one of yours, let me know and I will definitely give you credit! 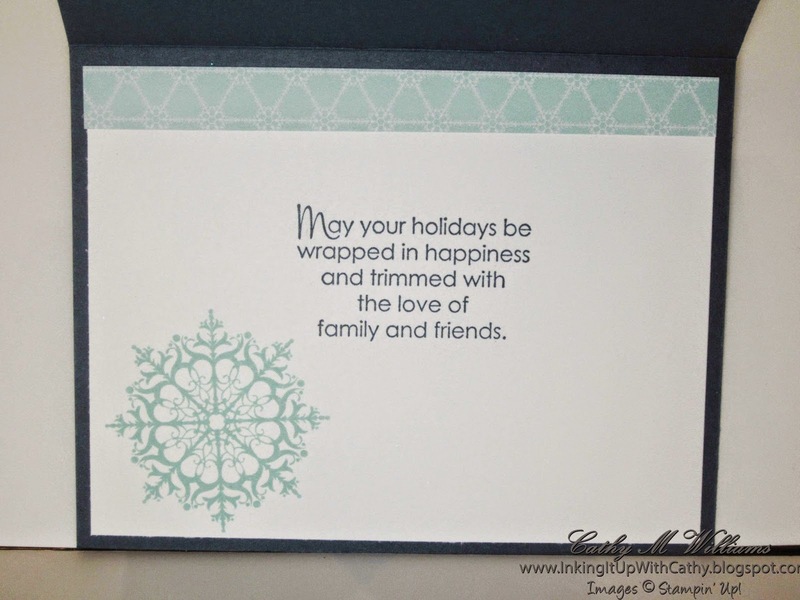 In this card, we used the Snowflake Soiree and the More Merry Messages stamp sets which were carried over from the 2012 Holiday catalog.